Unfortunately, double chins are a natural part of the ageing process in many people due to decreased skin elasticity and increase of fatty tissue in this area. Many people try and combat this issue with exercises, creams or even double chin removal surgery. Luckily, there is a non-surgical procedure designed for this exact issue called SculpSure. SculpSure is a non-surgical double chin removal method and has been helping people for many years to combat this stubborn issue. How does SculpSure remove double chins? 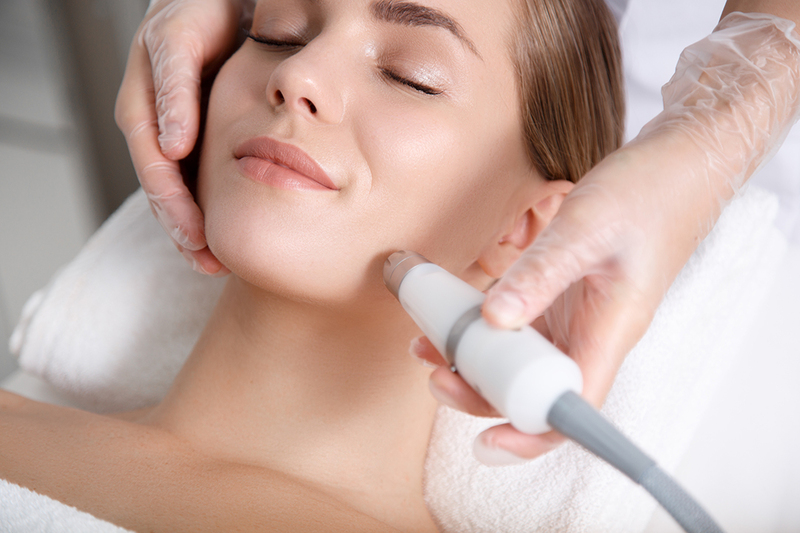 SculpSure is a popular treatment to get rid of the unwanted fatty tissue under the chin. SculpSure is very ideal for those with trouble spots on the body and this includes those with double chin fat as this can be a very unpleasant and uncomfortable issue that comes along with age. This type of fatty tissue is very common in the ageing process and can be unflattering to the overall facial structure. It is a highly effective procedure requiring no down time, no pain and is more affordable than your average fat loss treatment. As SculpSure is a non-surgical treatment, no anaesthesia or needles are required, which means no pain relief methods are needed either and no downtime! The procedure of SculpSure for double chin removal is very quick and easy, taking only 25 minutes per session. In each SculpSure session, the SculpSure machine destroys up to 24% of fat cells in the double-chin area, leading to visible results in as little as 6 weeks. After 12 weeks, results are usually 100% visible and clients are shocked to see how quickly this method works. During the treatment, you should expect to feel light sensations such as deep warmth and tingling, however, this is not painful, and clients usually find this sensation relaxing more than anything! Recovery is instant, meaning no downtime after your appointment which is a bonus for many people who want to complete sessions on a frequent basis and get results quickly. This also means you can go about your daily activities normally without the interruption of recovery. In terms of the amount of treatments you will need, each client varies, depending on the severity of the issue and the end result wanted. Unlike many other treatments, the procedure of SculpSure for double chin removal actually lasts. The results are usually permanent, which of course depends on lifestyle choices too. However, if a person who has had the treatment chooses to undergo positive lifestyle changes such as a healthy diet and exercise regime, the results will be lasting. Maintenance is sometimes required of a session every month or so to continue seeing the same result.